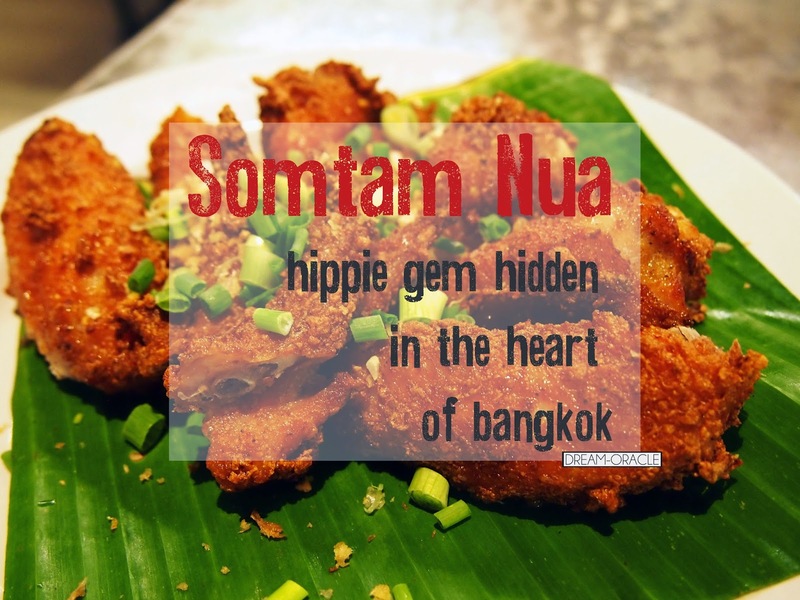 Somtam Nua is hippie, its young and it serves one hell of a chicken wings. 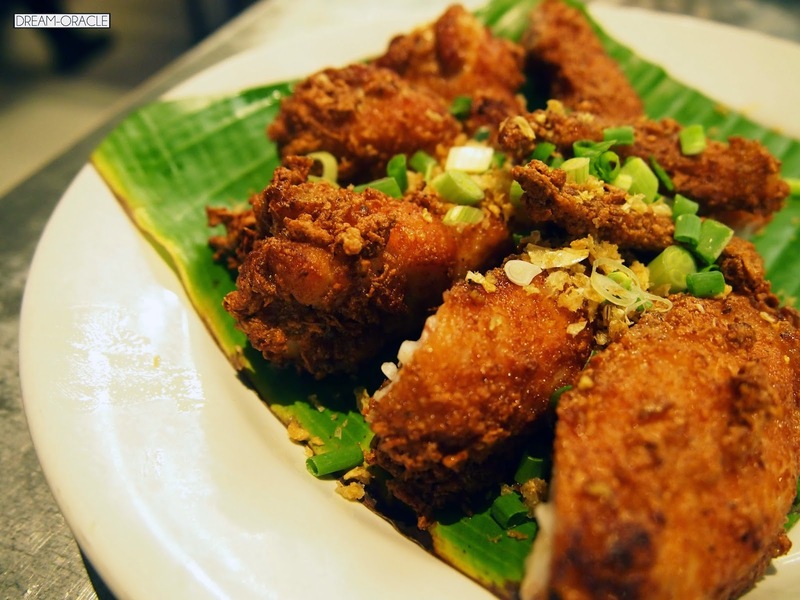 Thai chicken wings are not to be trifled with and Somtam Nua has shown you why. But first let's look at some of the other dishes available. 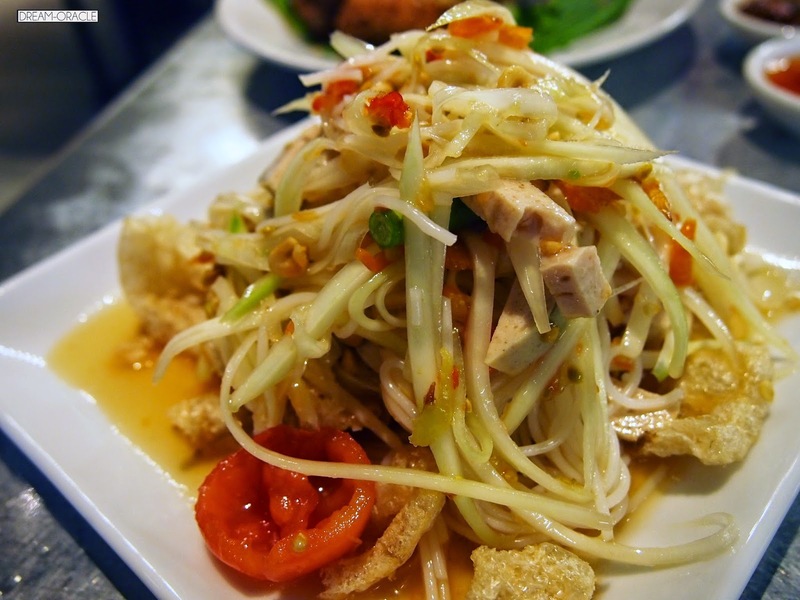 No trip in Thailand is complete without trying Somtam. Its basicslly a green papaya or mango salad. Then you can add in various veggies such as shredded carrot, long beans, bean curd and then doused in dry shrimp n chilli dressing. 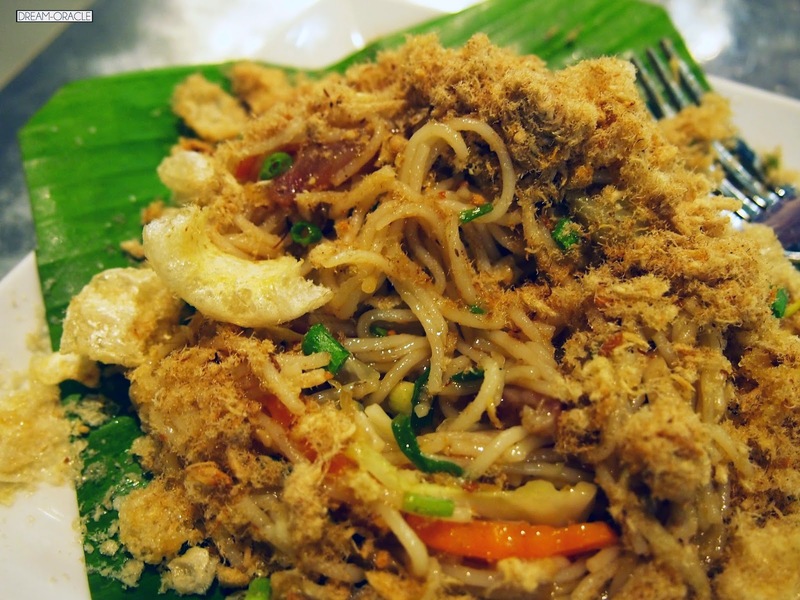 In this case we also have crispy pork rind which is extremely addictive and Thai sausage as well. To be honest, aside from the unbearable spiciness, this was easily the best plate of Somtam I've ever had in all my various visits to Thailand. I wish they've taken out the chilli seeds as those were the real killer. If it was less spicy, I might have enjoyed it more. 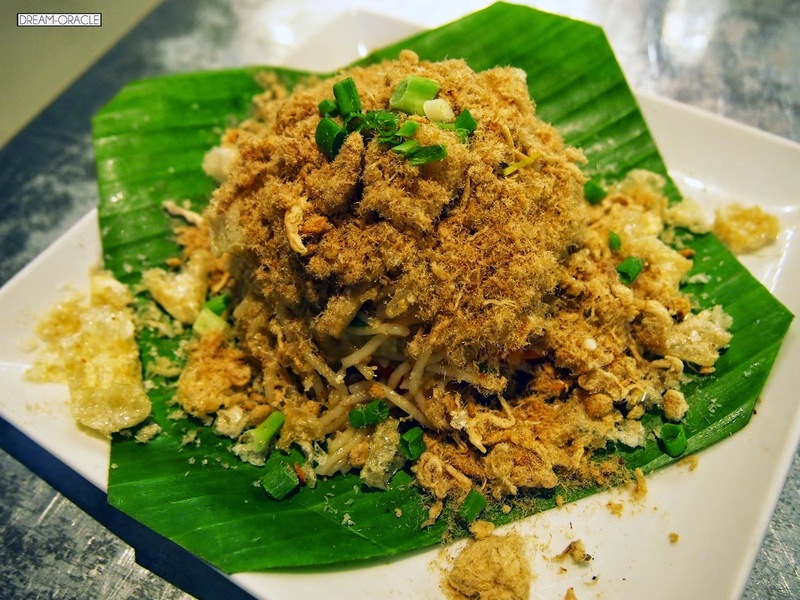 This was very interesting, its like our cu mifen but stir-fried and covered in fluffy pork floss. This was less spicy than the salad but you definitely need multiple breaks while eating this. I like that its moist and flavourful and had lots of ingredients! This is definitely the highlight of the meal. Garlicky wings deep fried to a golden brown, crispy on the outside but utterly moist and juicy on the inside. The handful of crispy fried chopped garlic added an extra texture and flavour to the wings. They were hands down, one of the best wings I've ever had. Thumbs Up: Very good quality food. To Improve: Make sure the one chilli symbol on the menu is really just one chilli please. It's so spicy I can't even finish it! Why: The chicken wings are PHENOMENAL. Best I've ever had.